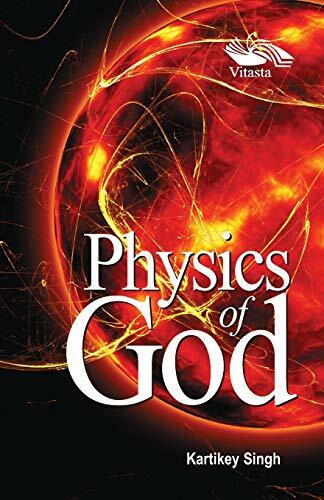 Physics of God attempts to find and explain the ultimate reality, God, using laws of modern physics. It inaugurates a new intellectual order by realizing the much talked about and hyped but still awaited joining of science and God; reason and faith; physics and metaphysics. It proposes a new hypothesis that borders science and imagination. This work is a serious confluence of physics, philosophy, metaphysics, theosophy and theology written with a pen, which is youthful and bubbly. Jampak Zu, the virtual cartoon character who has coauthored this book with Kartikey is an innovation in itself. The work brings out seven levels of reality that constitute the cosmic existence. Human existence participates in all of them. It lists the seven important parameters of reality and establishes a canonical interrelationship between them all. Laws of physics are then extrapolated into the realm of nonphysical worlds using these interparametric relations. The seven parameters work like seven interconnected knobs. By turning their values, the reader is made to undergo a journey from one world to another. At the climax of analysis, the reader finds himself in the world of God. The ultimate reality reveals itself automatically and spontaneously with a pleasant surprise that even God does not violate the laws of physics. We see Him through the lens of physics. Published by Vitasta Publishing Pvt. Ltd.